Let’s go Scrum this Summer! 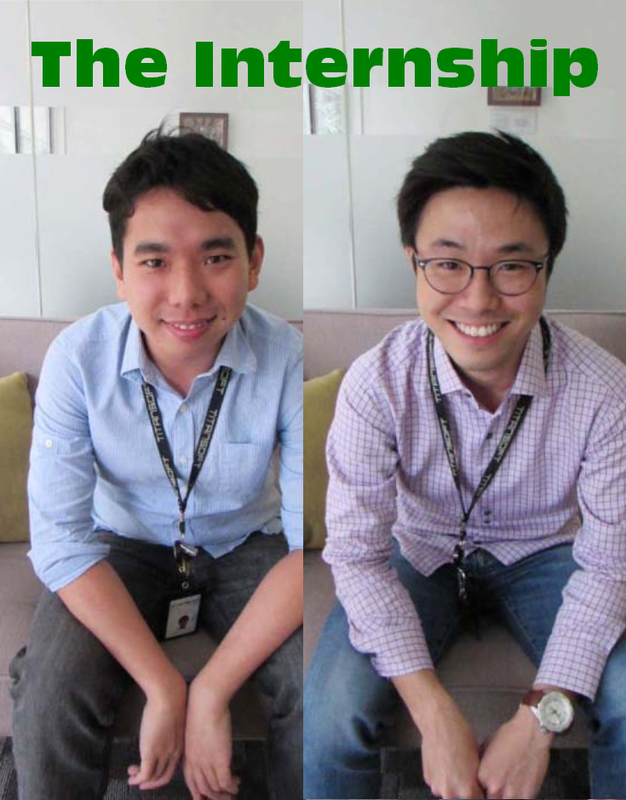 Raymond (left) and Poo Siang (right), majoring in Software Engineering and Computing Engineering respectively, will be with us during their summer break. Why did they choose Titansoft? The reason was simple. Titansoft’s sponsorship in the Agile Singapore 2014 Conference displayed the company’s belief in adopting adaptive planning and evolutionary development which they felt strongly about. Importantly, the company’s focus on personal development beyond the final business product offered opportunities for individual growth. The office setting is not a new experience to them. Yet, pursuing an internship as a professional software developer provided a whole new sense to this experience. How is information disseminated in the office? Surprisingly, the ring of a bell is more efficient than emails. Upon hearing the bell, all staff will stop their discussions and direct their attention to the speaker. Information is disseminated quickly and teams can efficiently incorporate this information for their discussions. The interns experienced it first-hand when the bell was rung and they made their self-introduction to all staff. The adoption of Scrum is also a departure from the usual waterfall model that they are exposed to in school, allowing them to experience the current working models in the IT industry. To them, Scrum provides space for teams to self-manage and accommodate changes and errors. Each member receives trust that helps to instill responsibility in their work, making them willing to help and ready to improve. How are the interns adopting and applying Scrum? For Poo Siang, he finds that working on an actual software development project allowed them the opportunities to adopt Scrum in a practical way. They hold daily standup meetings with a physical taskboard and work in teams for each iteration. At the end of their weekly Sprint, they present their potentially shippable product in their Sprint Review to their Product Owner. However, for the duo, the initial process was challenging. “Even though school has equipped us with the hard skills set and sharpened our competencies, it is up to us to elevate our soft skills and new technology knowledge,” Raymond admitted. It was a month of learning, exploring options to facilitate the process and set up the system and server. The duo takes this on with an Agile mindset as adapting to changes are expected and they are ultimately here to learn. They will continue working on the project until Sprint #8 before passing on their brain child to the next team to continue to enhance it each Sprint. The interns concurred that their final summer break will not be as worthwhile if they did not step out of their comfort zone and engage themselves in the real working world. “We are looking for new learning points, coding skills and professional working life lessons. Thus far, we think we have achieved this in our internship where everyone treats us as an equal and are always ready to share knowledge,” shared the interns. We certainly hope our new interns enjoy their stint here to learn and grow with Titansoft! This entry was posted in Titansoft Culture and tagged internship on July 8, 2015 by titanhrad. Good luck with your Scrum journey.